Peter H. Neufeld was born Dec. 5, 1925 at Neuhorst Village near Gretna Manitoba. He was baptised upon his confession of faith in 1948 at the Randolph CMC Church. In 1948 he met the love of his love, Tina Kehler at a baseball game and by Aug. 12th of that year they were married. He is survived and will be greatly missed by his wife Tina (nee Kehler), daughters: Linda & Norman Doell (of Steinbach), Lottie Harder (of Winkler), Elly Enns (of Steinbach); one son Murray & Joelle Neufeld (of La Broquerie), daughters Mathilda & John Fehr (of Steinbach), Carolyn Giesbrecht (of Winkler) and Sharon Penner (of Steinbach), 17 grandchildren and their spouses, 37 great grandchildren, and one sister-in-law Jessie Neufeld. Peter H. Neufeld was predeceased by his parents, five brothers, three sisters, two sons-in-law (Harold Enns) (Peter J. Harder)and one grandson (Randy). P.H. Neufeld (as he liked to be called) was a man of God, who loved his family, friends, music and we cannot forget about his weekly A&W coffee trips that became the highlight of the week for him. All who knew him knew he had many talents…. 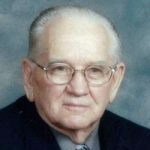 Not only was he a husband, father, grandfather, great-grandfather, he was also a mechanic, heavy equipment operator, welder, Sunday school teacher, youth leader, choir director, and a warrior for God through his love for music. He played with many great musicians with his last “program” being brought to Woodhaven on June 12, 2018. His music and contributions will forever be remembered. He was a great man to talk to as you knew there would always be a story, talks on genealogy, a joke, sharing of his wisdom or a debate on politics. He was a stubborn man but always for a good reason, he always had a smile, sometimes only in his eyes, and he fought a good fight, right to the very end. God rest his soul, we know he will be well taken care of in heaven. The tinkering … if it could be taken apart, it would be… cars, remote controls, cell phones, laptops and the list goes on. Summer picnics, traveling to Fox Lake, Pinawa, Seven Sister Falls, Lockport and of course with mashed bologna and egg salad sandwiches, crammed into a small car, having fun, political debates; lessons on how it used to be …. suits, a requirement, women not allowed, he was passionate about the subject, his willingness to provide his knowledge about mechanics, teaching small engine repair, how to fix a lawn mower, the Saturday crackles with Mom’s homemade buns and strawberry jam and LOTS of salt (Dad did love his salt and sugar), the once a year blueberry pancakes made by Dad on Dec. 27th with brown sugar water, sitting on a wooden box on the grader, riding along, eating wieners with mustard from his thermos. The viewing will be held on Saturday, June 30, 2018 at 7:00 p.m. at Birchwood Funeral Chapel, Steinbach, MB, with a devotional at 7:30 p.m. The funeral service will be held on Sunday, July 1, 2018 at 2:00 p.m. at Birchwood Funeral Chapel, Steinbach, MB, with a viewing prior to the service. The burial will follow at the Heritage Cemetery, Steinbach, MB.